Hello Mr. Bunn, I would like to thank you again for taking the time to do an interview. How was your holiday season? The holidays were great! I pretty much took it easy, but those few days of relaxation have put me a little behind when it comes to work! Let’s start by discussing what has to be one of the most bizarre comics I've read in some time, “Deadpool Kills the Marvel Universe.” It seemed people either loved it or hated it (with myself enjoying it), and it sold quite well. Did you know it would get as strong a positive and negative reaction that it did? I knew that it would be a different book than what most people were accustomed to… and that often tends to rub folks the wrong way. Going into the story, I wanted to present a version of Deadpool who was unlike anything readers had seen before. Did I know it would bother some people? Sure. Did I care? Not a bit. I told a story I thought would be interesting and fun and horrific at the same time. I had a few people who hated it, but the response was overwhelmingly positive… enough so that it warranted a sequel in DEADPOOL KILLUSTRATED. It seemed the message of the book was that the thing holding Deadpool back from being a complete murderous psychopath was his thin grip on reality and a ever-so-slight concept of ethics. Once that is gone he becomes an unstoppable being of destruction. Do you personally feel that Deadpool works better as the reluctant hero or the villain—as he clearly was in this book? Was he the villain? I mean, yeah, he was butchering everyone who stood in his path. But as far as he was concerned, they were nothing more than fictional constructs created as the playthings of sadistic “gods.” He thought he was doing them a favor! Okay. He was the villain of the piece, obviously. As for how he works best, I think it depends on the story. For DEADPOOL KILLS, I think it only works with him playing the Freddy Krueger/Jason Vorhees slasher role. The fourth wall isn't just broken in "Deadpool Kills The Marvel Universe, its shattered to pieces. Throughout, “Deadpool Kills the Marvel Universe,” the fourth wall gets increasingly broken, up to the point Deadpool apparently is planning to kill the writer of his own comic, you. His character has always been one to break through the fourth wall, but what made you want to take it as far as you did? I think that was the natural progression of the story. Deadpool was trying to destroy “the continuity” of the universe, and I needed to end the series in a big way. I think the idea of Deadpool trying to destroy the creators of the book came to me around the time I decided he would be trying to breach the Nexus of All Realities. 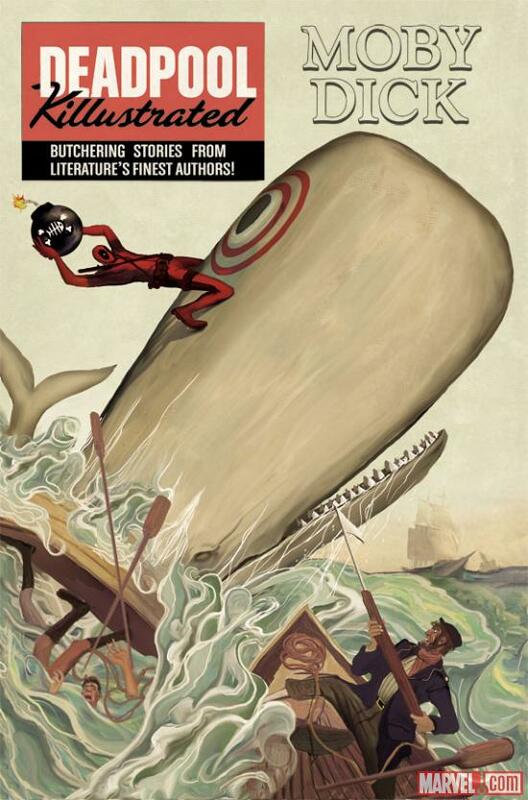 Deadpool Killustrated is coming out soon, it features Deadpool going into various famous works of literature and wreaking havoc. Is this is a direct sequel to, “Deadpool Kills the Marvel Universe,” with him now killing the literary universe, and if so how did "you" avoid being slaughtered so as to write it? What you’ll learn is that the “progenitors” have created a number of shadow universes as decoys. 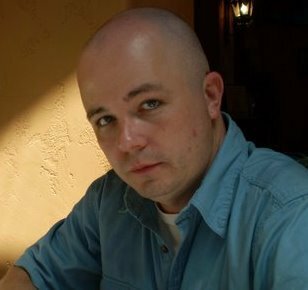 So, the version of Cullen Bunn who dies at the end of DEADPOOL KILLS was just one of many alternate Cullens. Deadpool Killustrated sounds like an idea so silly it will either be amazing or terrible. What can you say to assure me and other readers it will be the former instead of the latter? I don’t know that I can convince someone of the concept. It is what it is. Deadpool decides to slaughter the icons of classic literature. But, just as with DEADPOOL KILLS, there’s more to the story. And even though the concept sounds ridiculous, the series isn’t really played for belly laughs. There are funny moments, sure, but this is a dark book, and there are some really twisted, disturbing revelations awaiting. Speaking of violent anti-heroes, I enjoyed your run on Wolverine. My favorite part was seeing Dr. Rot again and the rest of his family being introduced. 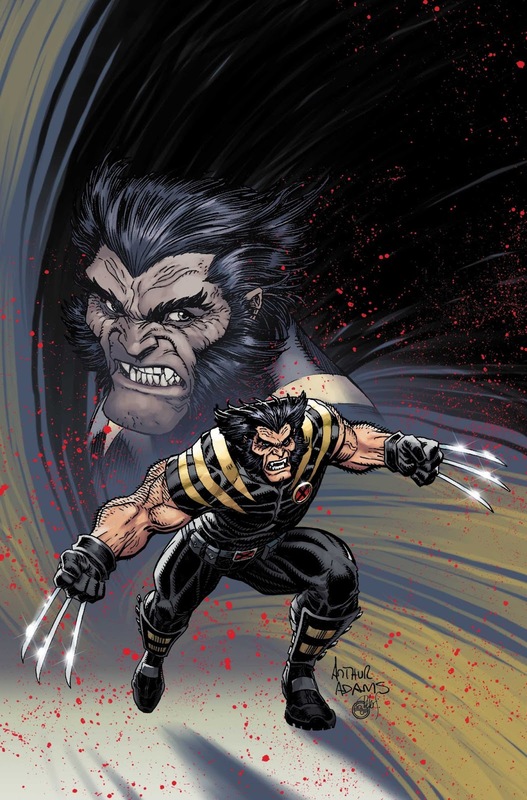 What made you want to further elaborate on his character who until your arc had only been seen in his first appearance within the pages of, “Wolverine: Weapon X”? The Rot storyline was not my first pitch, but for various reasons it was the one we went with for my first arc. I think it made a nice transition from what Jason Aaron, who created Dr. Rot, did to what I wanted to do. I’m a huge horror movie nut, so I wanted to expand Rot’s family, a la TEXAS CHAINSAW MASSACRE or HOUSE OF 1,000 CORPSES. Your time on the Wolverine series seemed to be cut short by Marvel NOW, but you actually will still be writing a version of Wolverine in the upcoming Ultimate mini-series about him and his son. Having written the “normal Wolverine,” and now writing the, “Ultimate Wolverine,” which do you find more enjoyable to scribe tales about? I like them both. I’m a classic Wolverine fan and always will be. 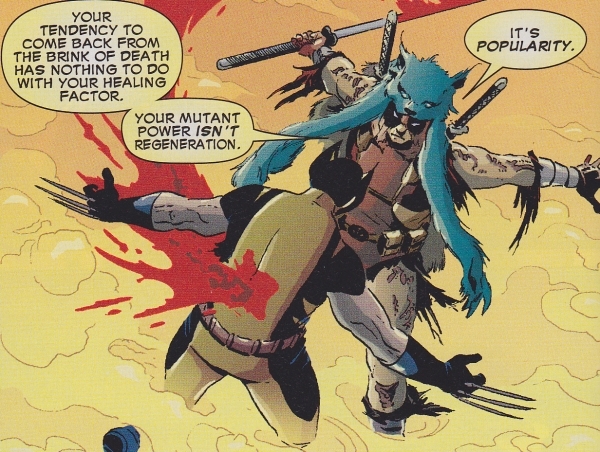 But the chance to write a “different” Wolverine, a character who is a little more “fresh” was pretty exciting for me. As Wolverine is actually deceased in the Ultimate Universe I imagine we will only see him in flashbacks, with the present-day story focusing on his son, Jimmy Hudson. Hudson is a relatively newer character and this is his first solo-book; what do you have planned to make him someone readers want to follow the exploits of? Yes, you’ll be seeing two stories—one Logan’s, one Jimmy’s—that will be running parallel. Jimmy will be learning quite a bit about his father… and his mother. He’ll also be facing some tough challenges. He’ll have to change his approach if he hopes to survive. In the end, this story will serve as the moment when Jimmy really becomes Wolverine rather than just being the son of Wolverine. Let’s switch the topic to your independent work for a minute. I’m embarrassed to admit that I myself have not read, “The Sixth Gun.” I hear great things about it, but all I know is that it’s a comic with western and supernatural themes. I've also read some people think it fits comfortably into the genre of horror. Can you explain it to someone such as me who maybe has heard of it, but has not read it? 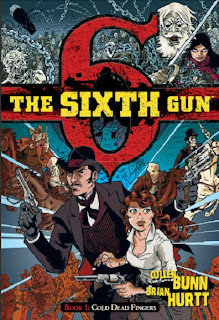 THE SIXTH GUN is an epic fantasy set in the Old West. It is the story of six cursed revolvers, each possessing a different terrible power. The most powerful of the six pistols vanished at the end of the Civil War, but it has now resurfaced in the hands of an innocent girl. 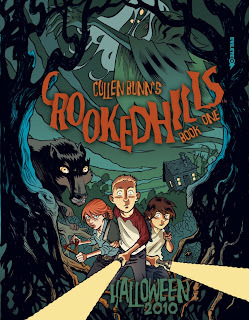 There are horror elements, yeah, but it’s more of a swashbuckling adventure. I hear so many people tell me that they don’t like Westerns but they love this series. Speaking of, “The Sixth Gun,” that is a creator-owned project, which is to say you (and I assume your artist Brian Hurtt) own the rights to it. You also are doing a lot of, “work-for-hire,” currently with Marvel. Do you prefer doing work that you own the rights to, or get more enjoyment from doing work-for-hire? They are such different beasts. I love writing work-for-hire stories because these are the characters I grew up loving. I enjoy the idea of adding to that mythology. But there is something intensely satisfying about bringing your own stories to life. You are currently writing the exploits of Venom. The latest issue [at the time of the interview] had him arriving in Philadelphia. What made you decide to have him “move” to that city? of every other hero who called New York home. I think it’s a great idea to see the Marvel heroes branch out a little. Philly made a lot of sense because it is a big city with its own personality. It’s also close enough to New York that Flash can visit his friends and family there when he needs to. You co-wrote Venom with Rick Remender before taking over it solo. Since then, you've had multiple stories ranging from Venom dealing with a demon-issue, to being emotionally scarred since going into the Micro-Verse with Scarlet Spider and Carnage. 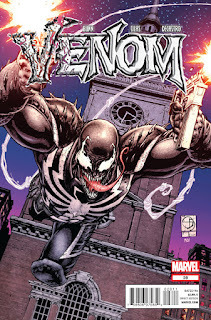 It seems that between Remender’s run on the book and yours Venom keeps constantly being put through the wringer. Will Philadelphia be a nice break for the character, or will things just get worse for Flash Thompson? Things are only going to get worse. He’s not in Philly long before Toxin shows up, followed by a new threat called the Symbiote Slayers. 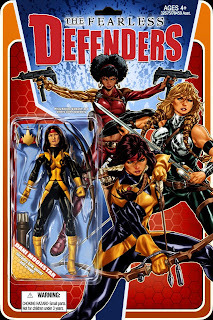 You have a Marvel NOW book coming out titled, “Fearless Defenders.” It features an all-female team of various heroes such as Misty Knight and Valkyrie. What can you tell us about it and its upcoming stories? Will people need to have read the maxi-series, “The Fearless,” which ties into this in order to understand it? This new series stands on its own. Reading FEAR ITSELF: THE FEARLESS might be a good primer, but it won’t be necessary at all. This is the story of Valkyrie trying to rebuild the ranks of the Shield Maidens from the women of Earth. There will be a ton of guest stars and a lot of crazy superheroic action. Myself and other people have noticed that with Venom dating Valkyrie (as started in Secret Avengers and which has most recently been reflected in Venom #28 ) and he having his own book and her being a part of the Fearless Defenders it makes sense there could at some point be a cross-over, or we at least might see Venom appear in Fearless Defenders. Any comment on this speculation? Yes, I think it’s safe to say there will be some crossover. It was revealed that Dani Moonstar will be joining the team as of the 2nd issue. Will there be more additions to the team over time, and if so can you say whom? The team will be growing over time. In the end, there will 9 core members. I will not, however, be revealing them all at once. The entire team will take a while to come together. I’ve noticed you haven’t done work with DC, the other company of the, “big two,” besides Marvel. Do you have any interest in doing something for them at some point? I actually did a 4-issue arc of SUPERMAN/BATMAN that I enjoyed working on. I’d certainly love to work on more DC characters at some point, but I’m pretty pleased with where I am right now. For a number of issues you did, “Captain America And ____” with the blank being various characters. The book ended, but in an imaginary world where it had kept going what other characters would have you liked to have team-up with Cap? I have heard and spoken with you about your affinity for Gambit and how you would have loved to have him appear, but who else? I had a number of characters I wanted to team with Cap. The list included Union Jack, Thor, Blackwulf, Ghost Rider, Morbius, Gambit, and many others. You also write straight-up prose, having published a book of short stories in the horror genre. What other text-works would you like to embark on? A science-fiction tale, a romance novel? I think I’m pretty set in my ways with prose right now. My first novel was a middle reader horror novel—CROOKED HILLS. I enjoy writing horror and I enjoy writing for that age group. Do you have any upcoming projects you can give some hints about? In March, Oni Press will be releasing HELHEIM, a horror series that I’ve described as BEOWULF meets FRANKENSTEIN. It’s a violent horror tale full of witches, undead, and demonic beasties. Thanks again to Cullen Bunn!